By now it’s the core ingredient of our infrastructure. It’s been introduced at each level of our stack, down from backend data processing up to client-facing websites. We’ve been using the language to maintain web applications handling 10 million unique monthly visitors. We’ve made a lot of mistakes and we’ve learned a lot. This talk is dedicated to the newest addition to our infrastructure: a Clojure REST-inspired API. The project, initially designed to back stylefruits mobile apps, is intended to become the façade abstracting away data sources from all our mobile and web applications. Taught by our previous mistakes in the realm of deployment and scalability we’ve set our requirements high. We’re aiming for continuous delivery, high availability, dynamic scaling and pauseless deployments under load. To reach our goals we’ve picked state-of-the-art deployment tools, including AWS Elastic Beanstalk and Docker. Aside from deployment matters, Clojure proves to be an excellent choice for building a modular and stateless service. The breadth of its ecosystem is invaluable; an example is the excellent Liberator library which allows us to implement HTTP endpoints of our API in a declarative fashion. In this talk we’re going to share our experiences, both good and bad, gained while prototyping, deploying and maintaining our newest project. 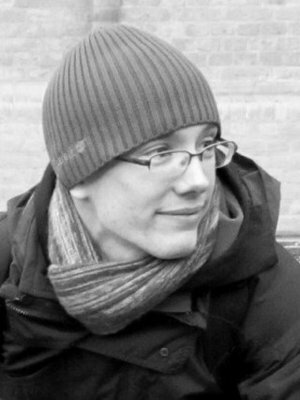 Jan Stępień is a developer at stylefruits. He graduated from Warsaw University of Technology with MSc Eng in Computer Science. He spends most of his time on both macro- and micro- backend services written in Clojure. Aside from Clojure he can be seen hacking Ruby and Haskell and keeping his fingers crossed for Rust. When offline, he is known to run both half and full marathons and wander in snowy Alpine wilderness.